#4: No watching or writing up in advance. Each day. A new film. I wanted to start in the silent era but the first feature length adaptation of A Christmas Carol, The Right to be Happy (1916), has been completely lost to time. Everything we know about it is from one scathing review in the New York Dramatic Mirror which says that the Christmas scenes were “staged under a blazing California sky amid the luxuriant green foliage of Mid-Summer”. I’m as furious that I didn’t get to watch it as they were that they did. Instead, we’re jumping straight into 1935’s Scrooge, produced by a man called Julius Hagen who went bankrupt two years later because he spent too much money on 1935’s Scrooge. By now we’re almost ten years into the sound era and people have pretty much got a grip on how to make movies. It is unfortunate, then, that the first thing you hear in the film is one of the oddest, most tuneless renditions of The First Noel I’ve ever heard. I’ve clipped it below. If Scrooge had to put up with that every Christmas then I don’t blame him for anything. Don’t worry lads, Charlie’s on hair. Within five minutes we have the “surplus population” line and by 13 minutes Scrooge is on his way home. Fine. But the story then diverts, for FIFTEEN minutes to a banquet hosted by the Lord Mayor who we never see again. There then follows a FURTHER FIVE minutes of comedy vignettes. Here’s an exciting bit with some jellies. At one point during the banquet everyone stands and, facing in different directions, sings the first verse of the National Anthem. Even the kids outside stop being hungry and ask God to save the Queen. Nice of them. We only see Marley once, when his face is superimposed onto Scrooge’s knocker. When he appears later he does so as a disembodied voice. He comes into the house, immediately declares that only Scrooge can see him then sits down in a chair. Ghosts get tired too, even conveniently invisible ones. Throughout, Scrooge helpfully points at where he’s supposed to be. Thanks Scrooge. I’ve read that, in the Director’s cut, Scrooge continued to helpfully point at Marley as he got up from his chair and made increasingly wild movements around the room, backflipping between cabinets at max speed. The G forces involved nearly shattered Scrooge’s wrist. Sadly, the Dickens estate came down hard on this interpretation and Julius Hagen lost a cool 100k on reshoots. We skip the “more of gravy than a grave” line then Marley says “Look to see me no more” and jumps out the window. I find it interesting that Claude Rains, the actor playing Marley, a tiny role with almost no screen time, is by and far the biggest name in this entire film. For an actor contemporaneously co-starring with Cary Grant I can only assume that he agreed to this dispassionate 2 minute voice over as terms of his own Scrooge-like rehabilitation. This is how they handle the Ghost of Christmas Past. Pretty neat effect and some good hair work from Charles. We don’t see much of Scrooge’s past. No schoolhouse, no Fezziwig, just a scene where an only slightly younger Scrooge refuses a loan extension. His fiancée threatens to leave him and in response Scrooge says “I’m ready to make allowances to your feelings as a woman” which is nice of him, that he’d make allowances for those. We cut to the ex-fiancée years later surrounded by an uncountably huge number of children. I’ve included the clip below and I challenge you to count for yourself – I think there are around twenty but past a dozen my eyes begin to cloud over. Scrooge gets sad because they’re not his kids but I don’t envy him. Or his wife. Or his wife’s pelvic floor. The ghost dies when Scrooge snuffs out the candle and we quickly meet the Ghost of Christmas Present. The Ghost of Christmas Present is the only ghost the audience ever see and he delivers his lines in an awkward, stilted monotone that feels like he’s reading off cards. This version of the spirit isn’t especially jolly or conciliatory and, as he disappears, he mockingly laughs at Scrooge through flames. Curious, I looked up the actor and his name is Oscar Asche, one of the biggest stars of contemporary stage. He was most famous for an insanely racist musical called Chu Chin Chow which ran for over 2,200 performances, holding the record for over fifty years. He wasted nearly all of his money from the show on greyhounds. Here he is in costume. Scrooge was one of the last things he ever did, as “in his final years, Asche became obese, poor, argumentative and violent”. Living the dream, my son. We meet Tiny Tim here, and spend some time with the Cratchit family. There was something annoying me about the actor playing Bob Cratchit and I couldn’t quite pinpoint what it was. Then I realised it was because he looked like the potara fusion of Marty Feldman and Ken Branagh from the 2012 Olympics. The Ghost of Christmas Present says his bit about seeing a vacant seat in the chimney-corner and then we’re taken on a magnificent tour of the other sets that were set up in Twickenham Film Studios lot at the time. A lighthouse, a ship in a storm, the works. We also get a nice model shot of London where the only landmark is St Paul’s. I’ll freely admit that the effect for The Ghost of Christmas Yet to Come’s visions is insanely cool. I mean, I’m not too sure what’s going on but I like it. The only thing about this effect is that producing it clearly required Scrooge to keep his head perfectly still throughout. The result is that he cannot move or emote while talking, which is fun. The conceit falls apart a bit when he has to get mopey on his grave and brush off the snow but it’s nice looking enough for the rest of the time. Oh, in this version we see Tiny Tim’s corpse. Who here’s willing to bet that the lifeless body of Bam Bam pops up in A Flintstones Christmas Carol? I’ll take those odds. Ebenezer has his little character arc in the graveyard and we’re all done with the Spirits by 65 minutes into the movie, with another 15 to go. Worth noting at this early stage that only 45 minutes of this 80 minute long movie is spent in the company of ghosts. This is a clear repudiation of Charles Dickens as The Ghost Novelist. 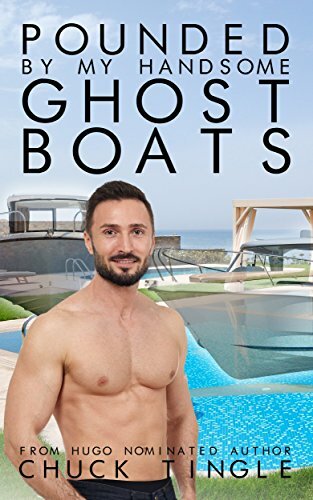 I can happily announce that this title can now return to Chuck Tingle. The epilogue to this is enormous and completely uninteresting. It hits all the beats in the way you’d expect. The story then takes a dark twist when Scrooge, drunk on bonhomie, decides to play a nasty prank on Bob. Feigning x-mas rage, Scrooge roughly shoves him into a door frame. This is the last straw for the impoverished, overworked Mr Cratchit. He sees red and snaps. Fumbling for a weapon, he raises a steel rod high over his head and is only stopped from caving in Scrooge’s skull when offered a pay rise. Psychopath. Scrooge also says “Hello Marley” instead of the original “I shall love it, as long as I live! I scarcely ever looked at it before. What an honest expression it has in its face! It’s a wonderful knocker!”. Brevity is the soul of, etc. What a wonderful knocker indeed. This isn’t, altogether, a bad adaptation of A Christmas Carol. Not seeing any of the ghosts means you do get a nice sense that Scrooge’s experiences may not have been literal. However, the weird way in which story was adapted means its almost impossible to follow Scrooge’s emotional journey and his transformation from being complicit in child manslaughter to benevolent philanthropist is not at all clear. Seymour Hicks does a fine job as Scrooge. It’s a little overplayed but he has some nice flourishes towards the end. As we have not opened any other doors on the Chradvent Carolendar this is, by default, the most Superior version yet. I have a strong suspicion, however, that I will completely forget it almost immediately.